It is an honor and a privilege to preside over AMHE for the 2015 – 2017 term. 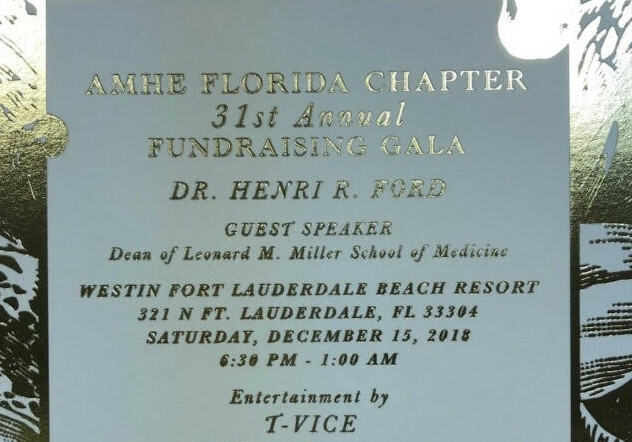 As the President of the Association, I am committed to working with the Board of Trustees, the AMHE Foundation, and all our members and family to continue to expand our support to communities in the US and in Haiti. I welcome your participation at the 43rd annual convention in Costa Rica – July 24-31, 2016. Over the past 43 years, AMHE has initiated and participated in many successful relief missions in Haiti and other countries. These missions have been wholly supported through the generous contributions of the members of the Association. As AMHE expands its projects and services, we also aim to grow the Association by increasing the number of friends, volunteers, and supporters to enable us to create health and health education projects in keeping with our Mission and Vision. Our thanks to Dr. Micheline Dole, Vice-President of the CEC, and Dr. Carmel Barrau, President of the Florida chapter, for coordinating the preparation of this 43rd milestone event. We invite all of you to come in great numbers with friends and family. Thank you for registering early, renewing/signing up for your 2016 membership, and remember to visit us often at www.amhe.org.